Yun, who is a 6 years and 6 months old girl with development delay, joined our class in August, 2016. The developmental delay is associated with impairments in motion, language and cognition. Her brother is an elementary school student with special educational needs. They live in a single-mother family now. ** Yun is the fake name due to the privacy and safety of individuals is respected. Currently, there are 75 children in the musical therapy course every month. 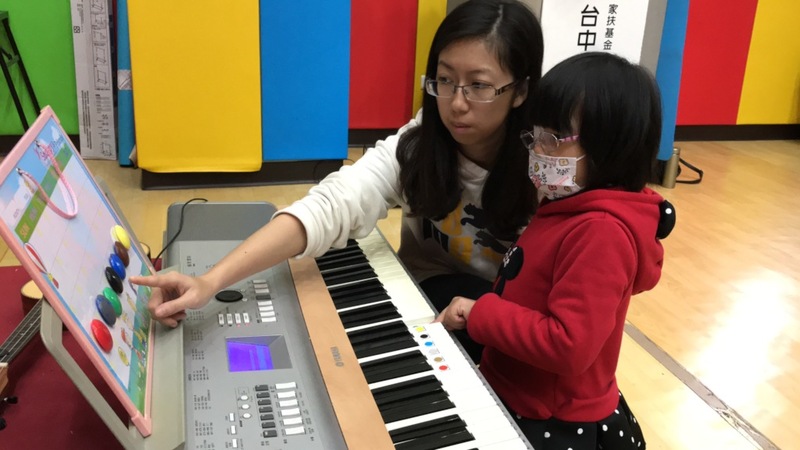 Because of your donation, we are able to continue our services and provide the helpful course to developmental delay children in Taichung. We will keep the project rolling and help more developmental children to grow up happily.